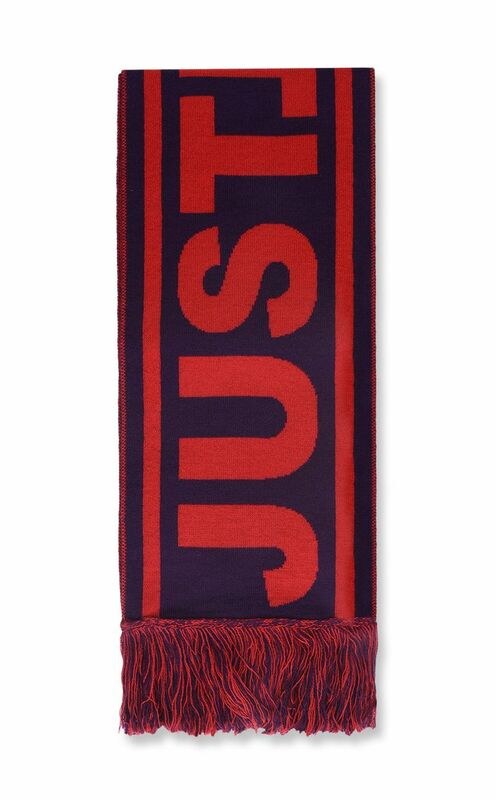 Scarf in a virgin wool and acrylic blend. 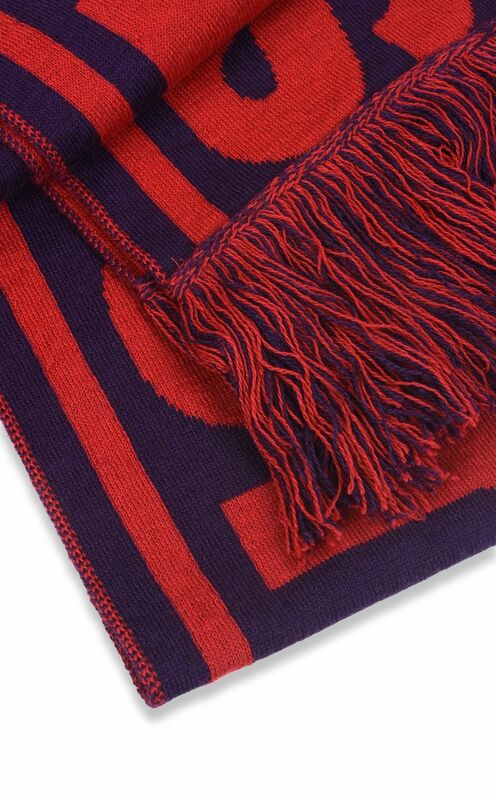 Styled with a fringe edge in matching tones. 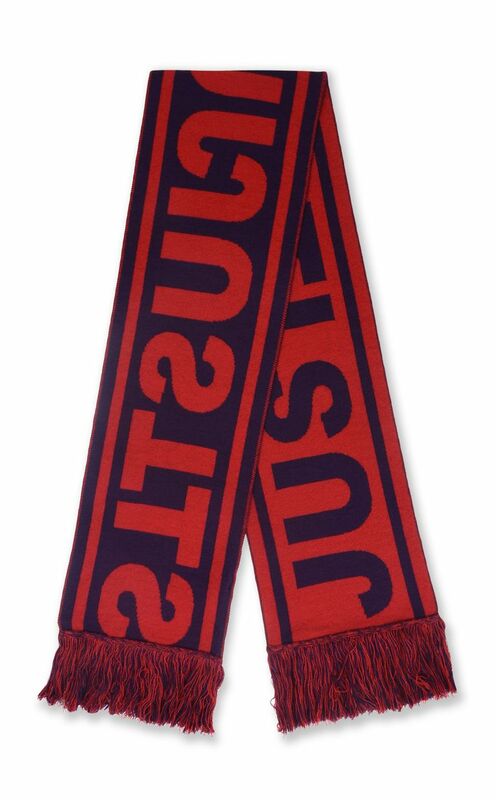 The statement JustJust logo runs the length of the scarf to create a fun, visual effect.